The Z80 is an 8-bit CPU* that was extremely popular and common in the late 70s to mid 80s, being significantly more powerful than most of its competitors. It was used in many early hobbyist computers as well as several commercially successful machines (the Sinclair ZX80, 81, and Spectrum; Tandy's TRS-80 line of computers, and others). It was used in various scientific and graphing calculators, many coin-op arcade games (e.g. PacMan, Frogger, Galaxian, Galaga, Dig Dug), and several analog synthesizers (including models from Moog, Oberheim, and Roland). Nintendo's Game Boy, Game Boy Color, Game Boy Advance/SP/Micro used a variation of the Z80. In all, it was one of the key CPUs of the day. While Intel invented the microprocessor, it was a startup, Zilog, that designed and developed the Z80 as an improvement on Intel's 8080 CPU. Zilog was started (and the Z80 designed by) Federico Faggin who (before leaving Intel to start Zilog) had led development of the 4004 and 8080 CPUs. The focus here is on getting RunCPM working on the Grand Central, so this is as much of an intro to the Z80 we'll do here. For more, check out the wealth of material at z80.info. The author wrote a more detailed 2-part introduction to Z80 hardware and assembly language in issues 7 & 8 of Hackspace Magazine. A couple books worth reading, if you want a deeper dive into the Z80, are Build your own Z80 computer. Design guidelines and application notes by Steve Ciarcia and Programming the Z80 by Rodnay Zaks. *CPU stands for Central Processing Unit, which is the part of a computer that executres instructions (the programs). MCUs (micro controller unit) like the ATMega328 and SAMD51 contain a CPU as well as memory and I/O circuits. 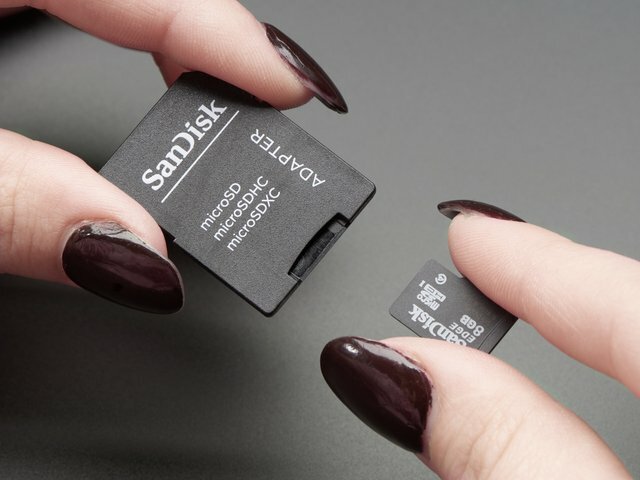 The SAMD51's ARM Cortex-M4 core is the CPU. The ATMega328 has an AVR core as its CPU. RunCPM is a Z80 emulator bundled with various versions of CP/M which run on the emulated Z80. It includes all the tools you need to explore Z80 assembly language programming (with access to the Grand Central's IO capabilities). Microsoft Basic is included and other languages are available online, including Modula-2 (an interesting language that was Niklaus Wirth's follow up to Pascal). There are several different ways to build RunCPM: which one you use is determined by the platform you want to build it for. We'll use the Arduino approach to build it for the Grand Central so open the RunCPM.ino in the Arduino IDE. Before that you'll need the IDE set up to build for the Grand Central. See the Grand Central tutorial for details on doing that. RunCPM is written to be very portable. Only a couple changes had to be made to get it running on the Grand Central. The official RunCPM repo contains the GrandCentral related changes. Since the official repo now contains the Grand Central changes, this is for information/education and as a guide if you want to get it running on other M4 boards. #define BOARD "ADAFRUIT GRAND CENTRAL M4"
That's all it took to get RunCPM up and running. 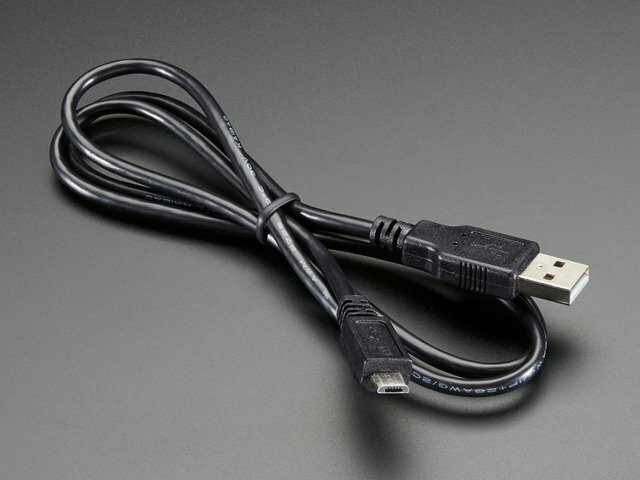 The terminal interface is via the USB connection which made it very easy. Not all terminal emulators will work perfectly, though. CP/M expects a VT100 type terminal, so not everything will work nicely (the author had some problems with MBASIC). 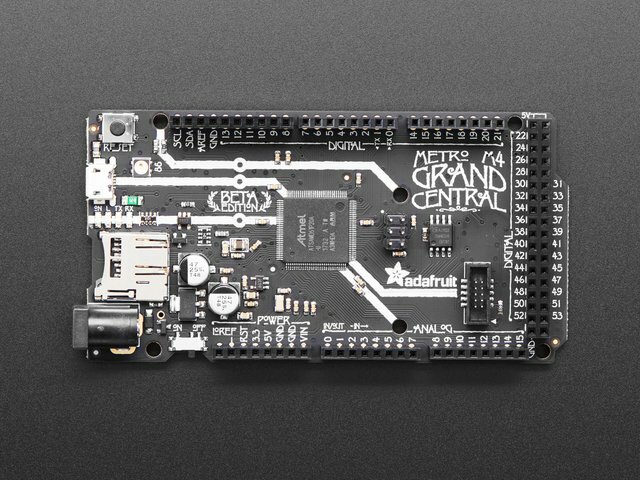 With the microSD card loaded/in-place and the Grand Central connected with board & port set appropriately, build and install onto the Grand Central. Now you can pretend to be a kid in the basement learning this strange new world of computing in the early 80s. Welcome to the author's childhood. RunCPM provides access to Arduino I/O capabilities through CP/M's BDOS (Basic Disk Operating System) interface. By loading the C register with a function number and a call to address 5, additional functionality that has been added to the system can be accessed. For these functions, the number of the pin being used is placed in the D register and the value to write (when appropriate) is placed in E. For read functions, the result is returned as noted. CALL 5 Returns result in A (0 = LOW, 1 = HIGH). Returns result in HL (0 - 1023). Using the above PinMode and DigitalWrite calls, it's easy to write some code to turn on a LED connected to, for example, pin D8. Use ED (the editor) to enter the following into the file LED.ASM. You could do this on your workstation directly on the SD card since ED is a beast from another time and, quite possibly, another dimension. This produces several files. LED.PRN is a text file containing your assembly language program along with the machine code it assembles to. Each line has 3 columns: address, machine code, and assembly language. There is also now a LED.HEX file. We can use the LOAD command/program to convert it into LED.COM which can be executed. 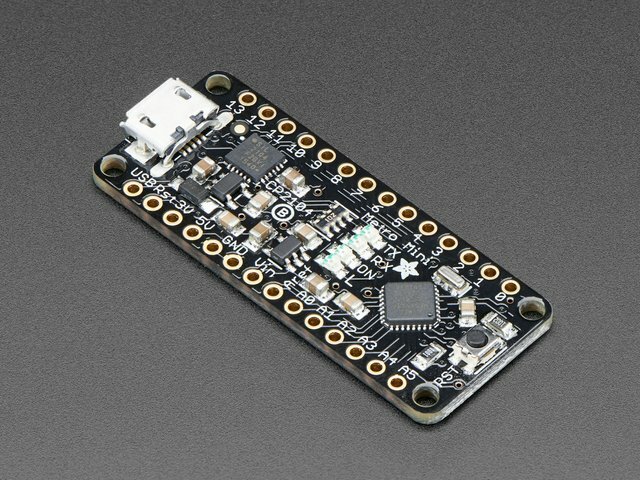 which will turn on the LED connected to pin D8. So now we can read and write digital and analog I/O from Z80 assembly language code that's running on a Z80 emulated on the Grand Central. That seems pretty round-about. While that's true, the point is to be able to play around with Z80 assembly language (and CP/M in this case) without having to find or build an actual Z80 system (although that can be its own kind of fun). The SAMD51 has plenty of horsepower and memory to run emulators of various retro hardware, probably faster than the original systems. 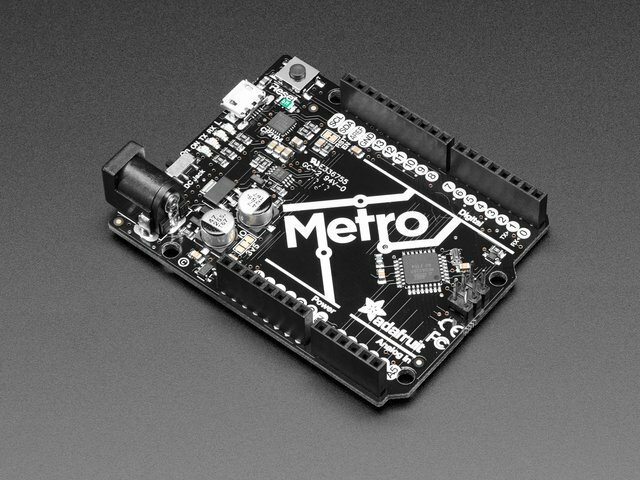 The Metro Grand Central M4 Express has an onboard microSD slot that's the final piece needed for RunCPM, avoiding the need for an SD shield. The focus here is on getting RunCPM running on the Grand Central, so there's been a very brief introduction to the Z80. For more, check out the wealth of material at z80.info. The author wrote a more detailed 2-part introduction to Z80 hardware and assembly language in issues 7 & 8 of Hackspace Magazine. A couple books worth reading, if you want a deeper dive into the Z80, are Build your own Z80 computer. Design guidelines and application notes by Steve Ciarcia and Programming the Z80 by Rodnay Zaks. Both are now freely available at the provided links. While it may not be directly applicable to most of what you find yourself doing, it can be instructive to delve into the low level workings of processors. It will give you a deeper understanding of how computers actually work. Using older 8-but CPUs for this simplifies the exercise compared to delving into the working of a modern CPU or MCU. This guide was first published on Jan 29, 2019. It was last updated on Jan 29, 2019.